Do you need easy instructions to install a backsplash? We’ve got your back. If you want to know how to install a backsplash in your kitchen but without a big price tag, then keep reading. This project took us a few days to gather the material, lay out the design, glue it to the wall, and paint it. 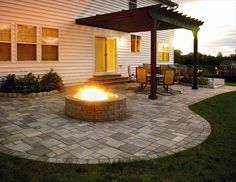 None of the steps are hard or time-consuming. 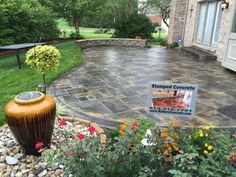 We love the results and the savings! Click HERE for your Free Step by Step Instruction. Select the paneling you want. 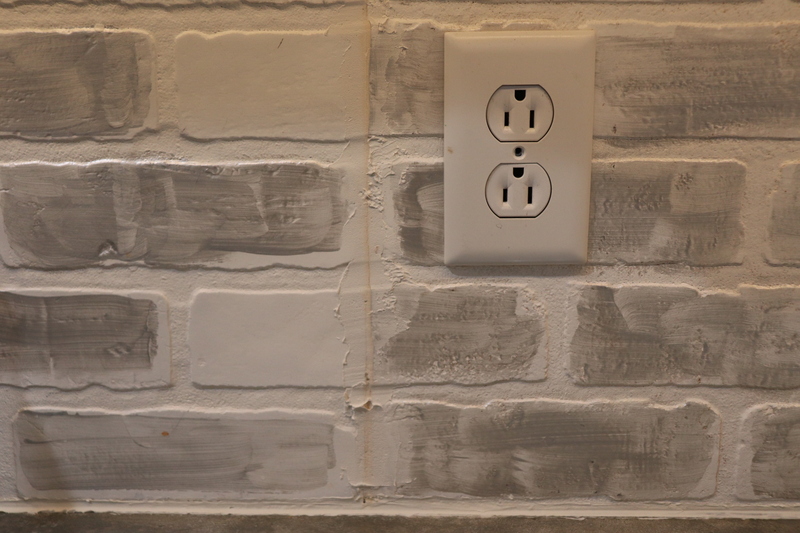 We chose a white paintable brick. Check your local hardware store for what they have on stock or you can special order. Buying paintable paneling is an inexpensive alternative to installing a backsplash. 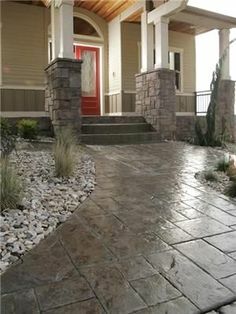 There will be steps you will need to do to protect it from water and grease. Measure your wall and mark your paneling. 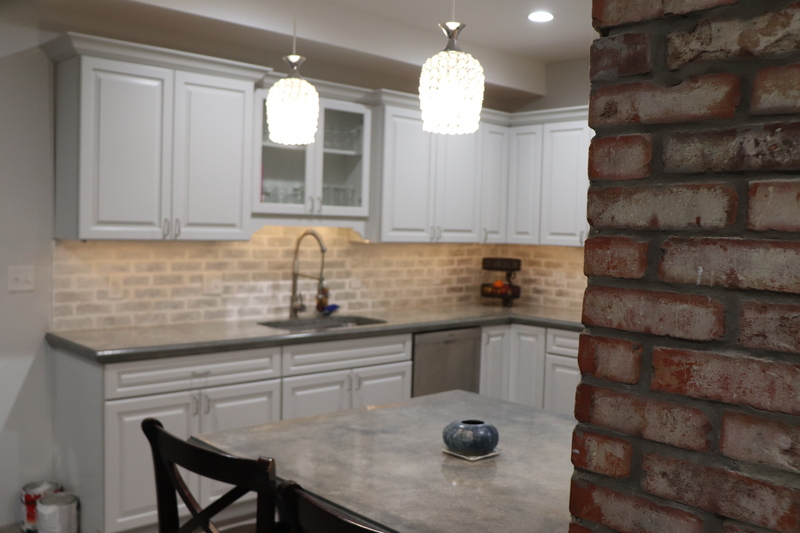 When you install a backsplash with a pattern, be careful to match up your paneling so that it lines up as you go along the backsplash area. We had to piece it together like a puzzle to match up the bricks. Once the paneling was cut, we had one long seam every 4 feet. Our friend suggested that we use a jigsaw to cut the bricks like a puzzle and piece it together to avoid a straight seam every 4 feet. I’m pretty sure that would work but we had already put glue on the pieces so our paneling has straight seams. 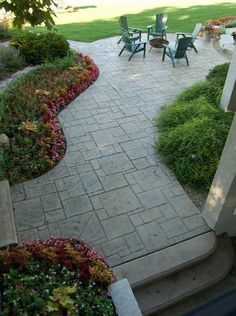 If you do cut the bricks out to fit, let us know how it turns out. Once the paneling is cut to fit against your wall, you need to mark where the outlets are and cut them out. This part can be difficult so Andy came up with a little hack for you to try. 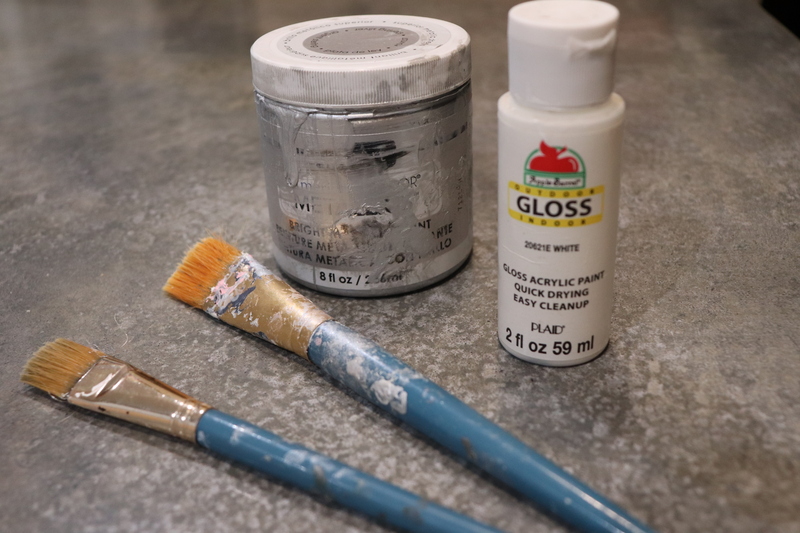 Use a piece of frog tape on the base of your countertop surface. 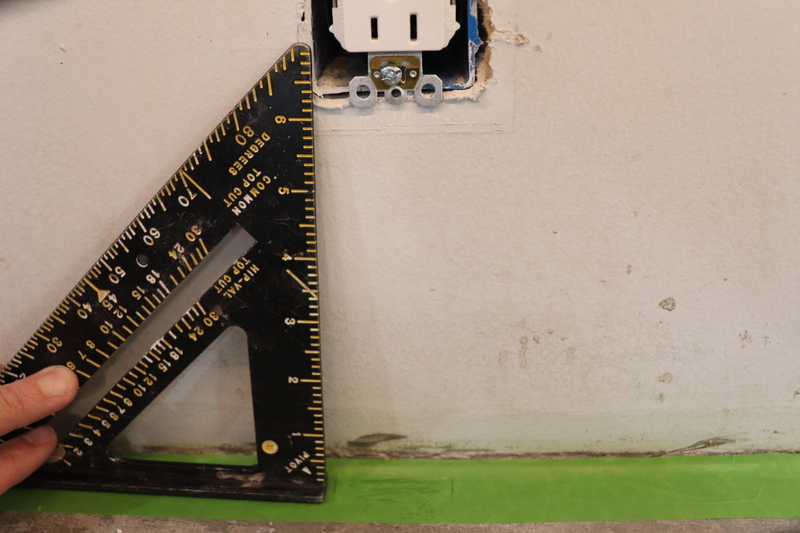 Use a square to measure where the outlet box starts and ends and mark it on the tape. 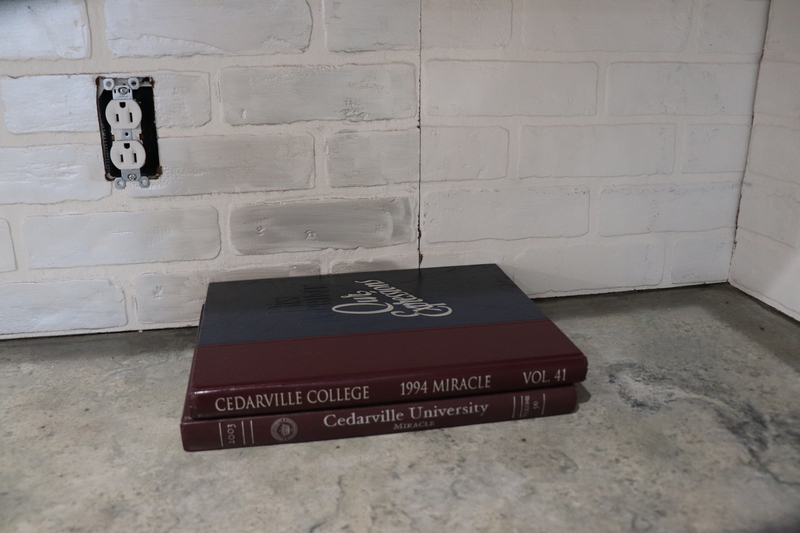 Take a tape measure and measure up from the base of your countertop to get the height of the outlet. Mark the front side of your paneling with a pencil. Once the panels are marked, you will need to cut them out with a jigsaw. 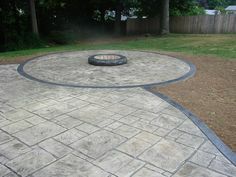 You will get some dust from the paneling so make sure that you cover your floor with a tarp or cut the paneling outside. Repeat this process for the entire length of where you are planning to install a backsplash. This will differ for each person. Next, turn the paneling over to the backside and apply glue. Make sure the glue is about one inch from the edge and then go in a zigzag pattern in the middle of the paneling. Read the directions on your glue to see if you need to wait a minute for it to set up. Once your glue is applied, flip the paneling over and double check to make sure that your pattern is in the right direction then push it against the wall to allow good contact. We used large books at the base of the paneling to make sure that there was pressure on the edges. I also wanted to add a few nails to top edges just to make sure that it stayed in place. Allow the glue to dry before doing this next step then it will be time to take care of the seams in your paneling. When you install a backsplash, the goal is to have one unified pattern. To address the seams, use joint compound and a putty knife and push the material in the seams. Be generous but don’t build it out too far. Let the joint compound dry overnight then take a piece of sandpaper and sand it to match the contour of your paneling. Andy sculpted the area like Michaelangelo. I took a wet paper towel to wipe away the dust at the base of the paneling. Another step to prevent your paneling from absorbing water is to use caulking at the base. 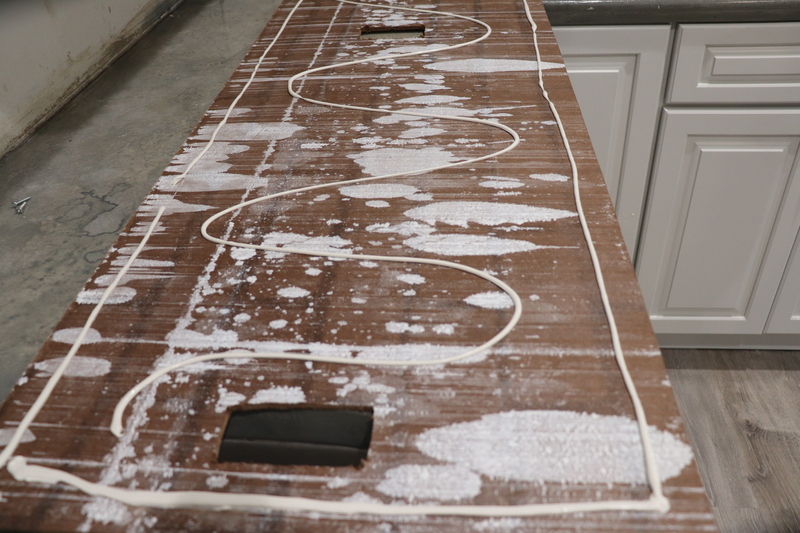 You can put frog tape along the edge of the countertop to have a clean line. 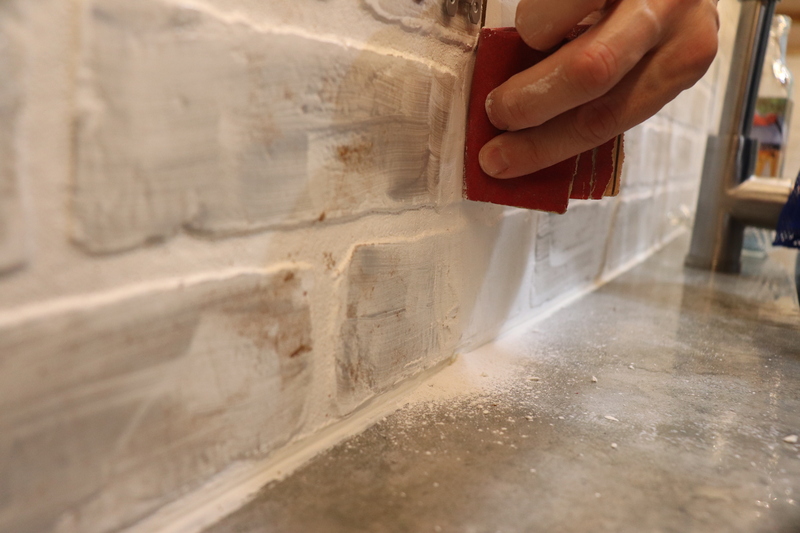 We have a great tool that runs along the caulking bead to make sure that it is smooth. You can buy it on Amazon. It works anywhere you will use caulking. Finally, this step is completely customizable. I went over the joint compound with white paint to make the seams seamless! 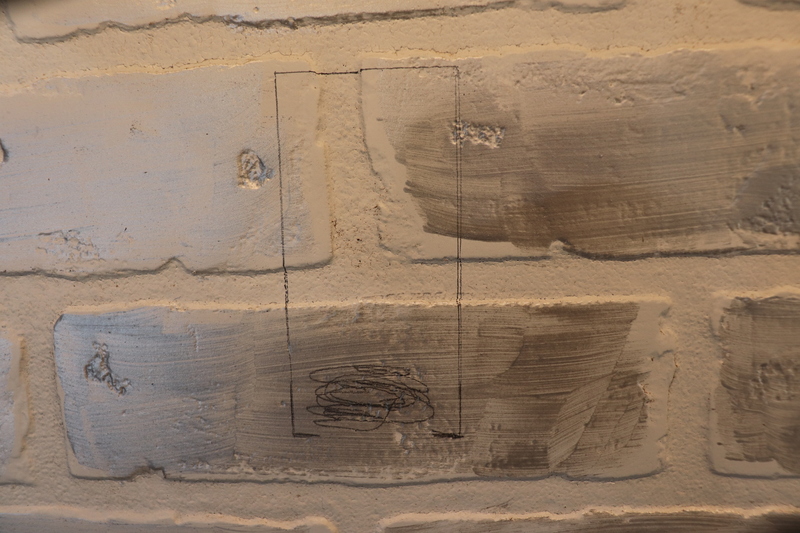 Then I applied silver metallic paint to the brick. You get to decide what color you want to paint your paneling. You are almost done at this point. You will want to seal the paneling with clear polyurethane to protect it from any water or grease. Wait until your paint is dry before you do this last step. Please let me know if you do this project and send us a picture. 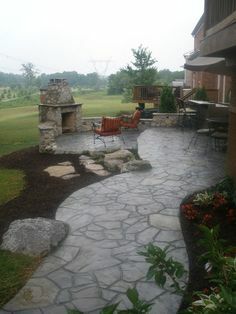 It is our desire to help you find what works in your space within your budget. I believe that you don’t have to sacrifice style because of a budget, you just need to get creative! 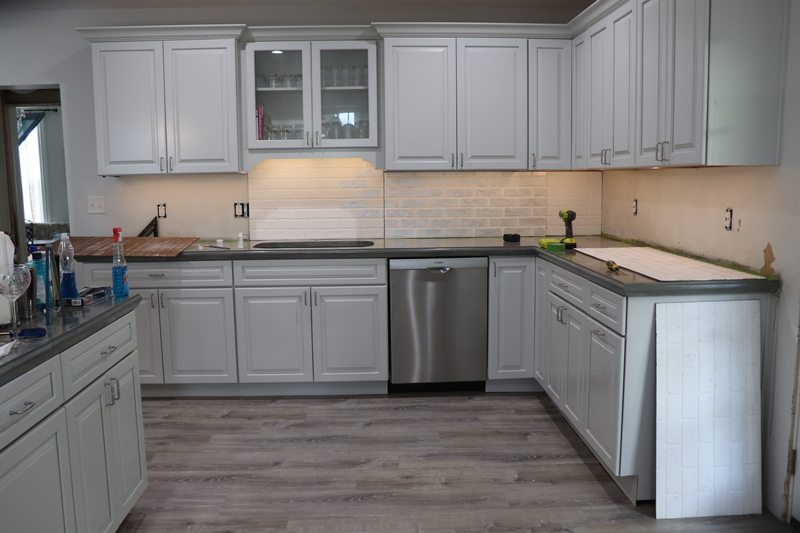 Using paneling is a great way to install a backsplash in your kitchen without breaking the bank. For other inexpensive backsplash ideas, check out this article HERE!